The beauty of these flowers is matched only by the amazing scent. The flowers of this plant are associated with spring which makes them the perfect gift during this time of year. Celebrate an anniversary or birthday with this memorable floral beauty. 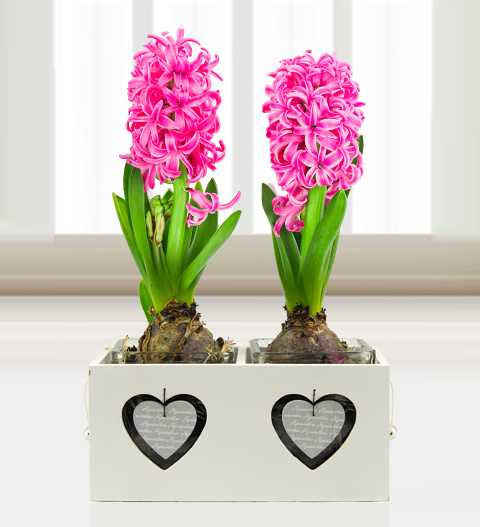 Two hyacinth bulbs are presented in a wooden heart planter.